An internet ban that lasted a massive 82-hours: people couldn't check Facebook, they couldn't tweet and they certainly couldn't search Google. This was the longest ever Internet ban and people in Jammu and Kashmir had to endure this during the festival period of Eid. The ban was met with reduced celebrations and families who couldn't wish each other. The orders were issued by the Jammu and Kashmir police to all telecom operators on Thursday, 24 September, for at least two days, that was then extended to three and further a few more hours in the wake of bovine animal sacrifice on Eid Ul Azha. Bovine animal slaughter has been banned in the state and the high court issued orders to impose the ban. This was done as the police wanted to scuttle any information exchange on animal sacrifice on social media, which could have potentially triggered communal tension. 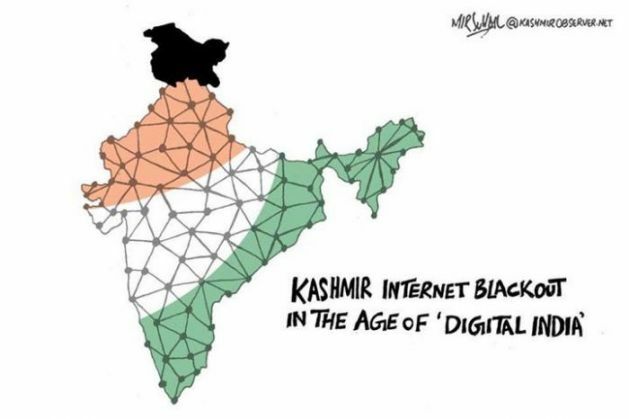 The irony of the matter is that Narendra Modi was in Silicon Valley promoting his "Digital India" pet project with top CEOs such as Tim Cook, Mark Zuckerberg and Satya Nadella while J&K faced the unprecedented internet ban. Of course, once the ban was lifted, citizens took to social media posting pictures and videos of protests that occurred during the ban.